The first of our selections on the second day of the Craven meeting at newmarket is Top Breeze for trainer Richard Hughes in the bet365 Handicap over six furlongs. This three year old colt is a serious contender at a nice price on Wednesday having not finished outside of the top two places on all three of his starts. He made his debut last October at Kempton winning nicely over six furlongs, from there he finished second in a three runner field at Chelmsford on the all weather when stepped up in Class and still showed a lot of potential. His only run this year came at the back end of March, where he got back to winning ways at Wolverhampton which give him some nice form for his first time over turf. The next race of the day is one of the first big races of the three day meeting and it comes with he Group 3 Abernant Stakes over 6 furlongs. In this contest we fancy the Kevin Ryan trained Brando and this seven year old is the most experienced runner in the field, racing in better races than this in the past winning Group 1 contests and placing in some classy black type events in the last few seasons. This race in particular is one that he has made his own in the past few years winning back to back renewals of the race and having a great chance to land the hat-trick as he is proven going well fresh. The feature race of the three day meeting is the bet365 Craven Stakes and in this Group 3 contest over 1 mile we have gone for the Richard Hannon trained Watan. This three year old made a great start to life on a racecourse finishing first on his debut at Glorious Goodwood in Class 2 Maiden, showing bags of potential that day. He then followed that up with a good second behind a smart type from the Charles Hills yard in the Group 3 Acomb stakes at York. He was less than impressive the time after that but got back to winning ways at Leicester in his final outing of the season and if he replicates his Group 3 form he will be in the mix at a big price. 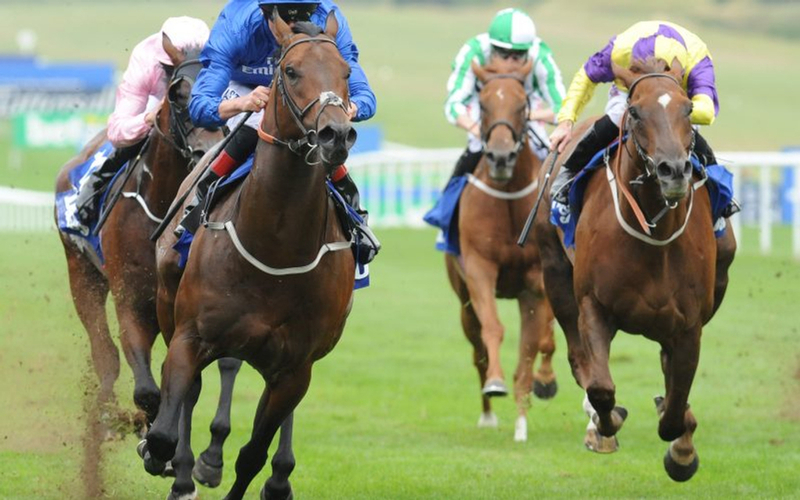 The penultimate selection from Newmarket on Wednesday comes in the Class 4 Novice Stakes over 1 mile 2 furlongs and we have gone for El Misk to land the contest. This John Gosden trained three year old like many of the field is very unexposed only having one run but this colt showed a lot of potential that running green but moving up to the front nicely to land the contest. That was on Newcastle on the all weather that day and now coming over to turf it could really play to his strengths. He is proven at this distance and if learning from his first outing could be a potential superstar. The final selection of the second day at Newmarket sees the 1 mile Class 4 Handicap and this contest we have gone for the Sir Michael Stoute trained Karnavaal. This Hamdan Al Maktoum owned three year old finished off last season in superb style, getting better with all three of her runs to land a seven furlong contest at Chelmsford. Before that she finished a decent fourth at newmarket over slightly shorter than Wednesday but it looks as if the step up to a mile will suit the colt and he could be a real talent.